Despite the booming tourism industry created by Victoria Falls, an estimated 73,000 people in Livingstone (41% of the population) reside in low-income communities where majority live below the poverty line. Erratic water supply is one of the biggest challenges faced by the community. It is a common sight to find women and children with containers searching for water. Inadequate and dilapidated infrastructure means the regional utility, the Southern Water and Sewerage Company (SWSC), are struggling to provide a sustained improved water supply service and keep up with the growing population. This issue is compounded by a lack of community ownership of existing facilities, limited operation and maintenance procedures, and poor health and hygiene knowledge – meaning diseases can spread fast. 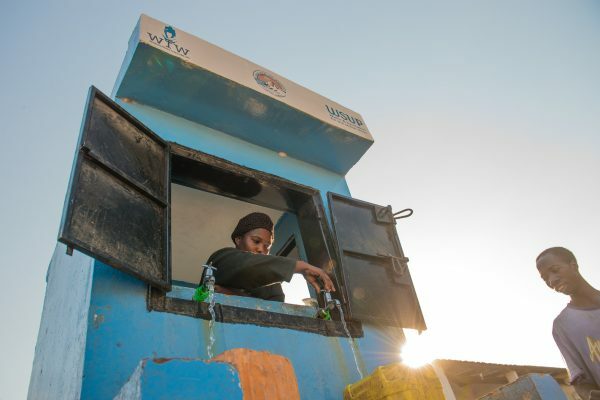 Sanitation coverage is mostly concentrated in the central city, leaving some low-income areas and new developments without access to sewerage services. 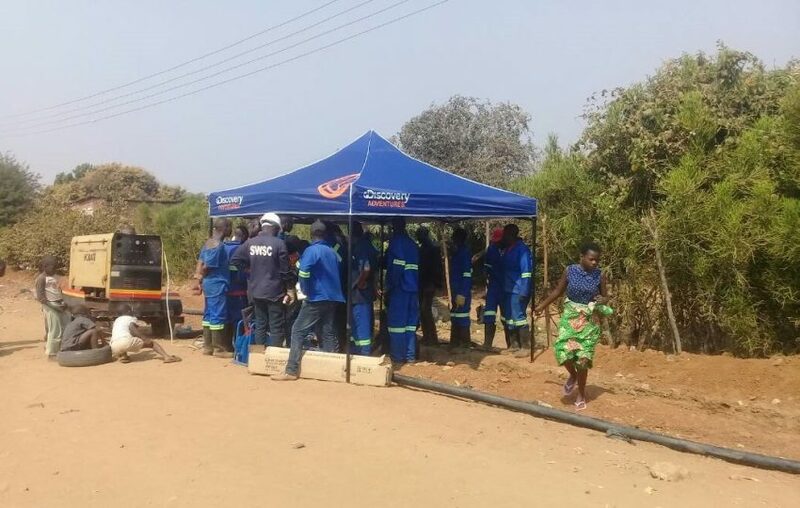 The majority of the peri-urban areas have a main sewer line laid through them, however, connection levels are low and in some areas, resulting in the system breaking down in most parts and requiring extensive rehabilitation. 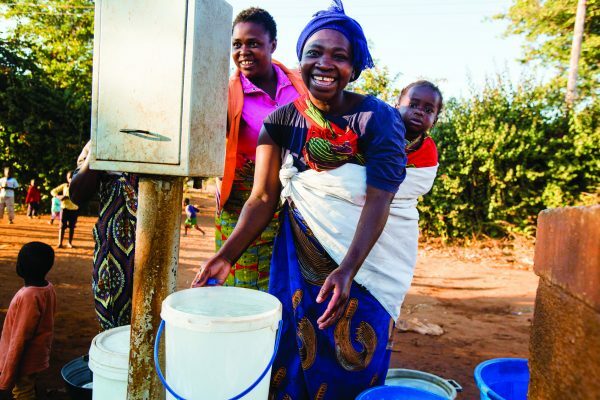 In early 2018, in partnership with Wasser fuer Wasser (WfW), we expanded to Livingstone working with the regional water utility, SWSC to improve their institutional framework to sustain the water supply improvement process. We’re working with SWSC, to help build capacity to address the gap in service provision to low income areas, working through peer-to-peer mentorship with Lusaka Water and Sewerage company (LWSC) and adoption of best practices. To help them address their challenges in low income areas, we’re supporting SWSC look both at improved provision through improved construction techniques and infrastructure investment and supporting them to invest strategically and engage effectively with low-income residents. National Water Supply and Sanitation Council (NWASCO), responsible for regulation of water supply and sanitation services in Zambia. Ministry of Water Development, Sanitation and Environmental Protection, oversight of water and sanitation service provision, water resource management and environment.